The world's largest fan convention bid a poignant farewell to the star of the most successful show in cable TV history on Friday as zombies took over San Diego Comic-Con. 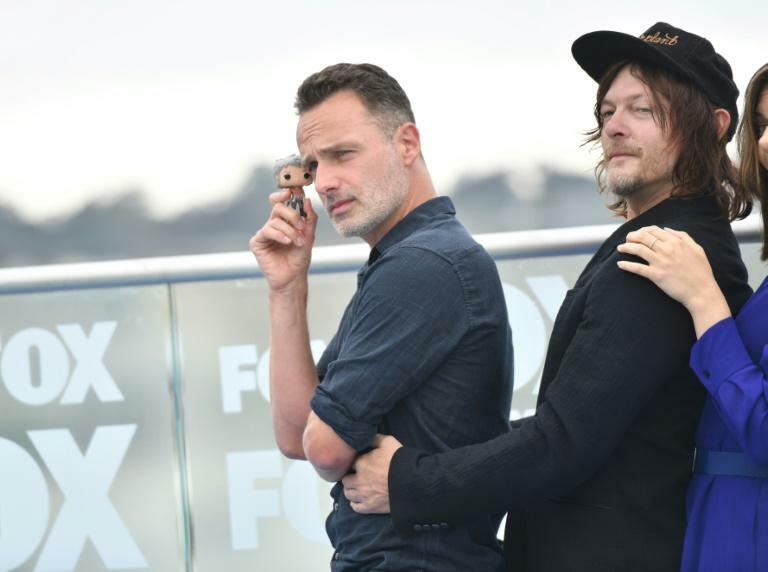 An extensive line-up of stars descended on the city's sprawling convention center to whet appetites for AMC's "The Walking Dead" and its sister show "Fear the Walking Dead." The departure of British actor Andrew Lincoln, who has appeared as Sheriff Rick Grimes in almost every episode since the 2010 pilot, has been an open secret since May, confirmed inadvertently by executive producer Robert Kirkman. 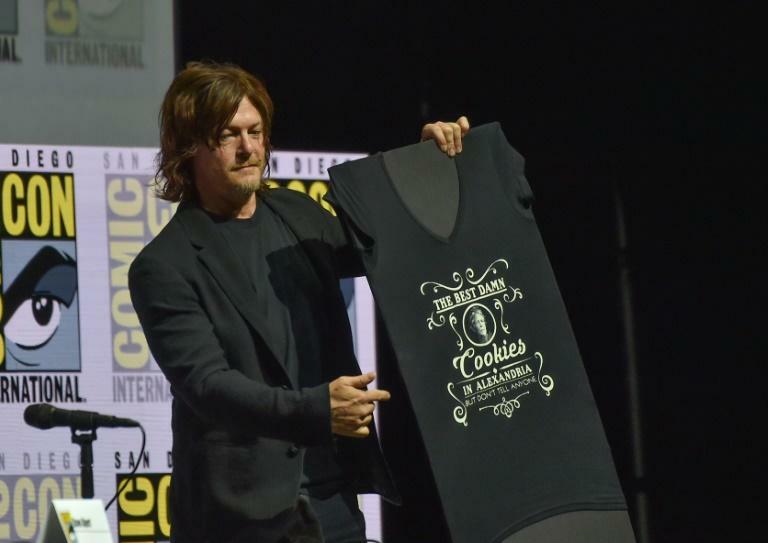 But the official announcement was reserved for Comic-Con, an annual pop culture celebration that attracts more than 100,000 devotees to southern California, many in elaborate costumes, every July. "There seems to be an elephant in the room. This will be my last season playing the part of Rick Grimes," Lincoln, 44, told the packed 6,500-seat Hall H, prompting a dismayed murmur that spread throughout the arena. "I love this show. It means everything to me. I love the people who make this show. I promise not to cry. I've done enough crying on screen," Lincoln promised. Based on a comic book of the same name by a trio of writers including one of the show's executive producers Robert Kirkman, the post-apocalyptic zombie-ridden vision of the United States portrayed in "The Walking Dead" has proved uniquely resonant. Dwarfing competition like HBO's "Game of Thrones" in the US, it has the highest total viewership in cable history and, crucially, the highest audience of 18-49s for any kind of US television between 2013 and 2017. The show centers on Lincoln's Grimes, who wakes up in a hospital bed after getting shot, only to find he is alone in a world of vicious, flesh-eating reanimated corpses -- known as "walkers" on the show. "I got kind of choked up. It's been nine years of coming here," Lincoln told reporters after what will be his last sojourn to San Diego on behalf of "The Walking Dead." "I love this place and I love seeing the fans, and you've been such a vital part of this experience. But my relationship with Mr Grimes is far from over." It was unclear if he was talking about the current shoot for his final episodes, the possibility of appearing in one of the franchise's numerous side projects, or something else entirely. The ninth season, coming in October, takes place two years after the "All Out War" saga of the previous two, with story editor Angela Kang taking over from veteran showrunner Scott Gimple. AMC dropped a trailer lasting almost six minutes at Comic-Con which shows Rick in more peaceful times as the leader of a sprawling settlement of survivors -- but with tensions rising among his lieutenants. "Fear the Walking Dead" kicked off the two-hour zombocalypse earlier with a presentation that critics agreed seemed to be drawing a line under all storylines past and presenting an almost entirely new show. Aired since 2015, "FtWD" doesn't get the history-making numbers of the main show -- but is still one of the top-rated US cable series with just under two million viewers per episode. "Fear" shocked its legion of ardent fans by presaging its parent show and killing its protagonist -- Kim Dickens's Madison Clark -- just before the halfway break of season four. The remaining cast -- including established stars Colman Domingo, Alycia Debnam-Carey, Danay Garcia and newcomers Lennie James, Garret Dillahunt, Maggie Grace and Jenna Elfman -- spoke passionately about their work. But it wasn't long before the conversation with journalists descended into a conversation about whether zombies were able to "poop," as well as snarling and shuffling. The tone was lowered as Gimple mentioned in passing that James's character Morgan, a crossover from the main show, is seen on the toilet in an upcoming episode and was asked if zombies "poop." "What did I say? It's going to be the next thing people want to know! It's exactly what I said!" grandstanded a faux-exasperated James. "I think there's a fermentation process that could result in projectiles," offered a wry Gimple, clearly amused by the prospect. Grace, most famous for ABC's "Lost" and the "Taken" movies, was disdainful, however, explaining that she didn't really go in for matters "scatalogical." She was game enough to suggest, though, that we might already be witnessing the effect of many a zombie call-of-nature in every episode. "That's why they walk so strangely," she said. Season four of "Fear The Walking Dead" resumes on August 12.